In fading evening light, 2-6-0T No. C11 23 simmers at Tjilatjap depot alongside the water tower and water crane. 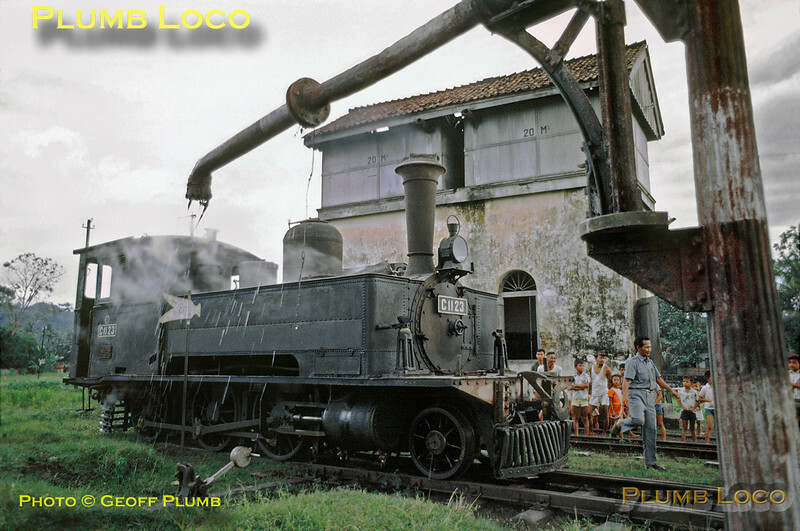 The loco was just providing steam to power the pumps to fill the water tower, though it does look as though it is capable of movement! The engine was pretty ancient even then, having been built by Hartmann in 1887, works No. 1526. As usual, our presence has attracted a crowd of the local kids! Friday 20th July 1973. Slide No. 11412.